Family trips to Walt Disney World are so much fun. Children love dreaming about all of the rides they are going to go on when they get to the parks. Most of the attractions at the Disney parks are for everyone, but there are some Walt Disney World attraction height requirements that you should know about ahead of time. This printable was updated in April 2019. If you have a young child who has their heart set on experiencing certain attractions, you really need to check out the height requirements ahead of time and then prepare your child, if necessary. The last thing you want on your trip is a child who is disappointed because they discovered at the last minute that they can’t ride something. All of the attractions with height requirements have a cast member there to measure anyone who looks like they may be too short. So be prepared to have your child measured! 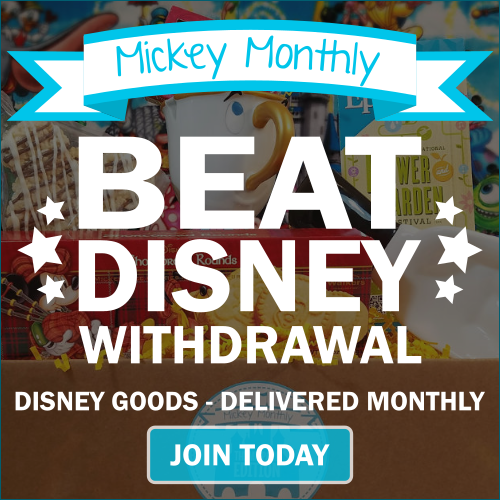 When in doubt, you can always check the official Walt Disney World website. 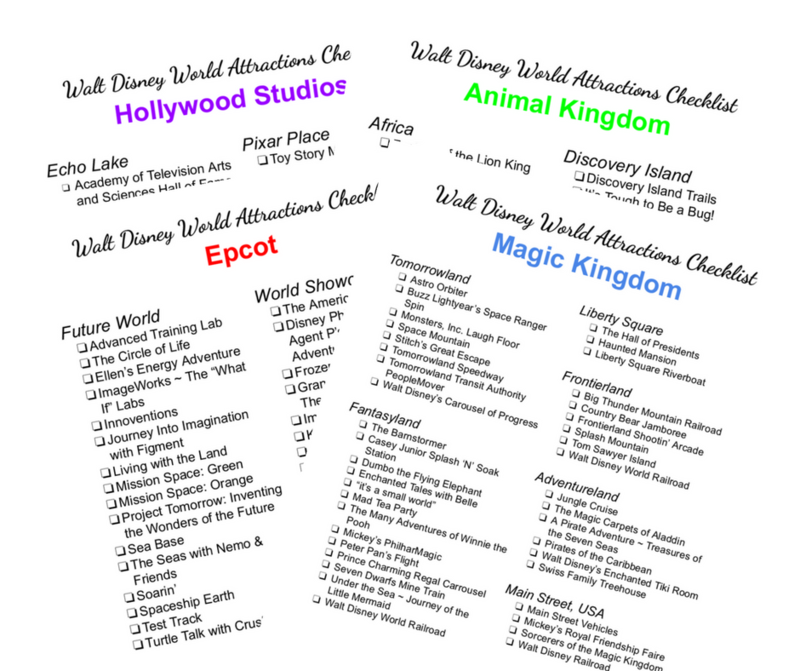 If you don’t see an attraction listed, that means that the ride is for everyone. 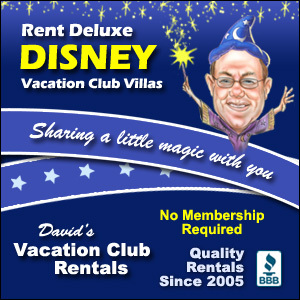 Go ahead and print out your own copy and take it to Walt Disney World with you the next time you go. Can they ride any of these with an adult or do they have to be this height with or without? These are the restrictions for riding at all. There are separate rules about when children can ride alone. This is really useful especially when the kids start crossing the first heights. You always are wondering ‘are they tall enough for this yet’. Thanks! I’m hoping some families will find it helpful. We are still very much in the thick of the “countdown”, so to speak, of when my kids can ride various attractions – so we are always looking this stuff up. Great printable! My boys are eight and they are now officially tall enough to ride everything except the Tomorrowland Speedway alone. So we don’t need to worry about it much anymore. I hope you find it helpful! Very helpful to have the height requirements in one place! I didn’t realize that Dinosaur was 40″…my son could have ridden that on our trip. This is great – thanks for sharing this! This will be very helpful when my son gets older! You will get to watch your little guy grow into all of the rides! I think my youngest is now tall enough to ride ANYTHING. 🙂 Yay! Great printable. My tall boys can ride all buy one ride now, so they are pretty excited! 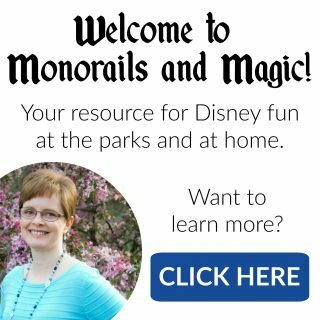 Make sure you little ones meet the height requirements at Disney!. Print this form and put it in your pocket. Absolutely! Fortunately we can ride just about everything now. I’m so excited for our next visit. My youngest will be over 44 inches and he’ll be able to ride so many more things than the last time we went! I will totally print this out and take it with us. That 44″ mark really is a big deal, isn’t it? So many more rides!